Smithsonian Institution Collections Search Center — The Smithsonian provides access to much more than information about its own collections. The Inventory of American Sculpture provides authoritative information on nearly 32,000 outdoor sculptures collected from a nationwide survey known as Save Outdoor Sculpture. The information and indexing for each work is extensive and impressive. For example, see the record for the sculpture shown here: Choate Monument. The information includes not only the name of the sculptor, but the names of the architect, founder and fabricator, a complete description and references. 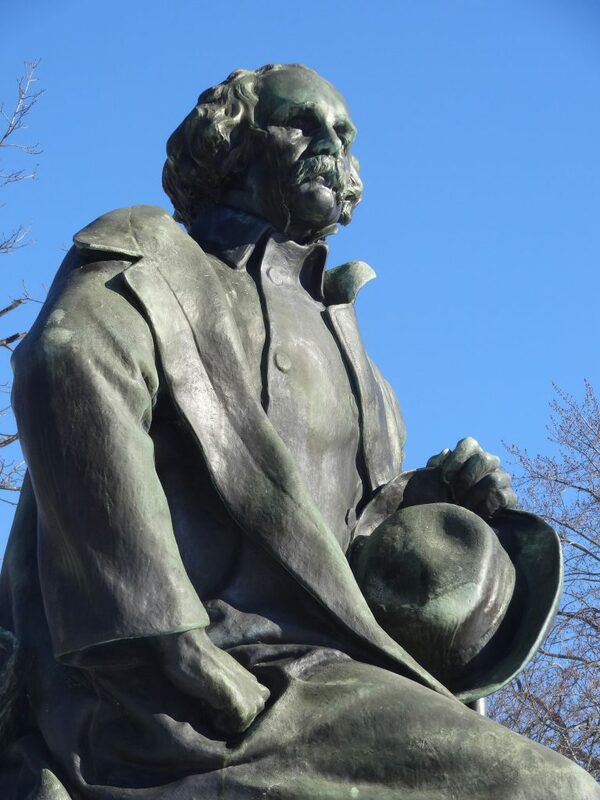 The indexing is extensive, and you can click on the links in the record to find other works by the sculptor John Massey Rhind, other works administered by the City of Salem’s Public Works Department, or even other works featuring novelists, canes or hats!